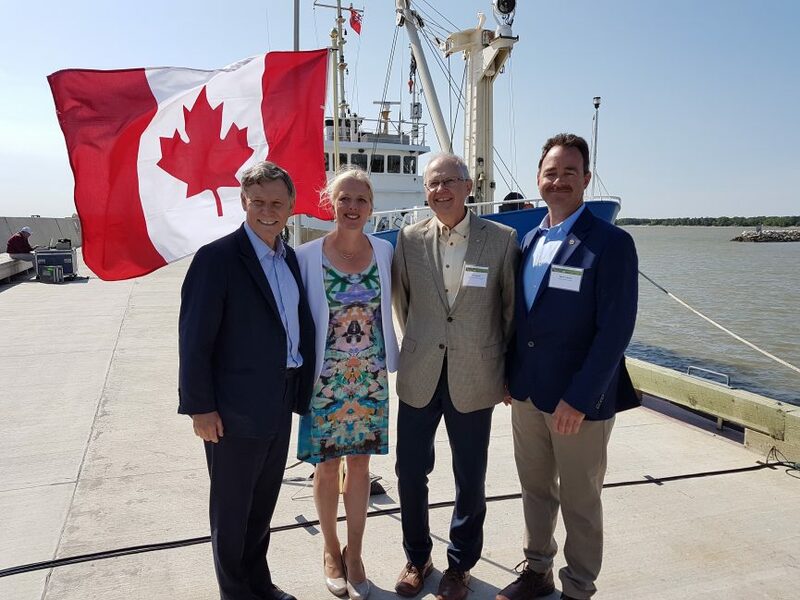 Standing on the shore of Lake Winnipeg, the Minister of Environment and Climate Change Canada, the Honourable Catherine McKenna, announced $400,000 in funding for MHHC over the next two years. The Manitoba Non-Point Source Nutrient Retention project was developed in partnership with, and will be co-delivered by, Ducks Unlimited Canada. Focussing on keeping excess water and nutrients out of Manitoba’s lakes and rivers, this program will restore previously drained wetlands in the Red, Souris and Assiniboine river watersheds, as well as along the shores of Lake Winnipeg itself. The goal of this project is to keep over 88 metric tonnes of phosphorus and 334 metric tonnes of nitrogen from entering Manitoba waterways. This is equal to keeping about 7 dump trucks of phosphorus out of our waters; resulting in cleaner, healthier waterways for the people and wildlife of Manitoba to enjoy. This program builds on a decade of wetland restoration experience by MHHC. Working with landowners, MHHC has restored more than 1,300 acres of wetland habitat throughout Manitoba. For information on how you can restore wetlands on your property, click here.